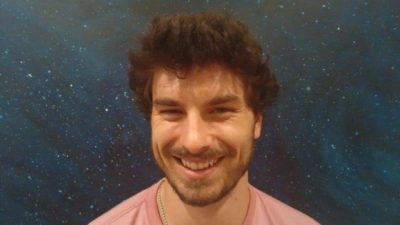 Trent joined the Australian Desert Fireball Network in March 2016 to begin his PhD in using the network for satellite orbital determination and tracking. After completing degrees in Advanced Science and Space Engineering at Sydney University, Trent was keen to further build his education and expertise in the space field, and what better way to do it, than to move to Perth and become part of such an awesome project. Trent first worked with the DFN team as an intern during winter of 2014 and 2015. In this time, he made a significant contribution in both the network’s expansion and software development. These encounters inspired him to undertake his PhD with the DFN. When Trent is not coding in the office or on fieldwork in the Australian Outback, he enjoys playing a game of soccer, going for a bike ride, or just a lazy run with the dog.